Why See Tusk - Tribute Band? 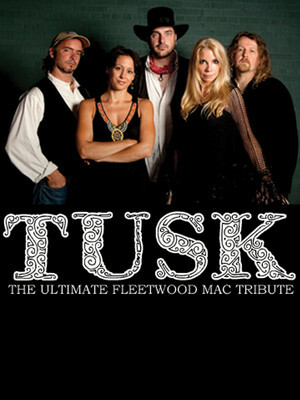 Since forming in 2008, Tusk has prided themselves on being the ultimate tribute to 70s supergroup Fleetwood Mac. Whereas a lesser tribute act might resort to wigs and backing tracks, with Tusk it's all about respect and authenticity. A group of seasoned musicians that go back some 25 years, their attention to detail, talent and reverence of their subjects has seen them become premiere purveyors of 'Mac, playing extensively both at home and away. So if you're jonesing for your fix of Fleetwood, you're in the right place! Made up of Kathy Phillips (as Stevie Nicks on vocals), Scott McDonald (as Lindsey Buckingham/ guitar and vocals), Kim Williams (as Christine McVie/keys, vocals), Randy Artiglere (as John McVie/ bass) and Tom Nelson (as Mick Fleetwood/drums) the five-piece will transport you back to the group's glory days with a set list including hits such as the 'The Chain','Dreams','Go Your Own Way' and more, alongside rare gems fans will love hearing again. Seen Tusk - Tribute Band? Loved it? Hated it? Sound good to you? Share this page on social media and let your friends know about Tusk - Tribute Band at Arcada Theater. Please note: The term Arcada Theater and/or Tusk - Tribute Band as well as all associated graphics, logos, and/or other trademarks, tradenames or copyrights are the property of the Arcada Theater and/or Tusk - Tribute Band and are used herein for factual descriptive purposes only. 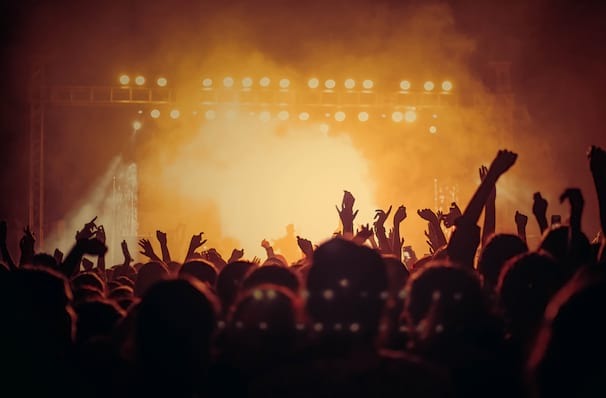 We are in no way associated with or authorized by the Arcada Theater and/or Tusk - Tribute Band and neither that entity nor any of its affiliates have licensed or endorsed us to sell tickets, goods and or services in conjunction with their events.